Tutorial - How To Install Android 6.0 Marshmallow Boot Animation on Asus Zenfone 4, Zenfone 5, Zenfone 5, Zenfone 2, All Android Device and Zenfone supported. Now you can change your boring boot animation with interesting Android M Boot Animation. This method tested on ASUS Zenfone 5. Below, We also provide a video tutorial with step by step guide. How to Root Asus Zenfone 4, 5, 6 without PC. Step 1. 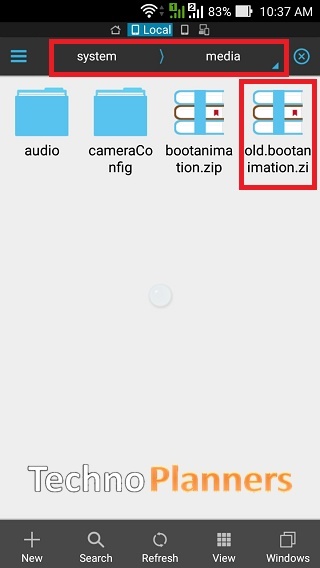 Download Boot Animation zip file from below link and copy it in your internal storage. Step 2. Now, Install ES Explorer from Play Store. Step 3. Once Installed, Open ES Explorer then tap on upper left corner button and select Tools then Enable Root Explorer and it will prompt to Grant Super SU (Root Permission). Now Hit on Grant Button. Step 4. Now Go To Device/System/Media directory and Rename your bootanimation to old.bootanimation.zip . Step 5. Now Go Internal storage then copy BootAnimation.zip file and Paste into Device/System/Media/paste here. Now Reboot Your Device. Now you will get Android 6.0 M Marshmallow Boot Animation on your Asus Zenfone 4, Zenfone 5, Zenfone 5, Zenfone 2, All Android device and Zenfone supported. How To Update Zenfone 5 to Firmware 3.23.40.60. Can we have marvel boot animation ?